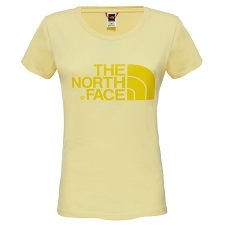 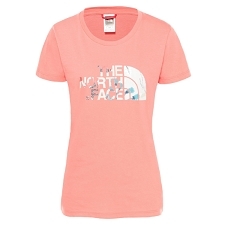 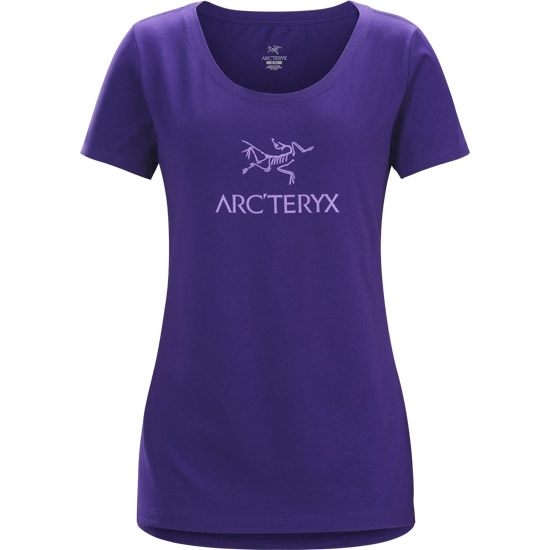 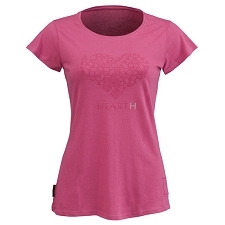 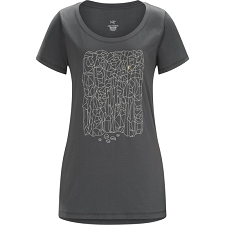 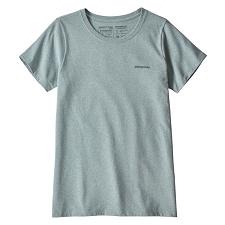 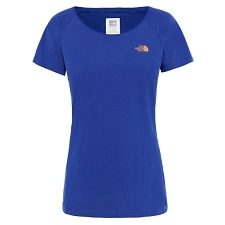 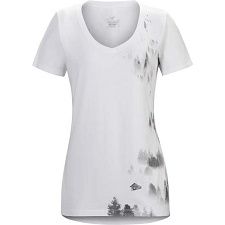 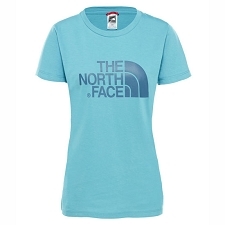 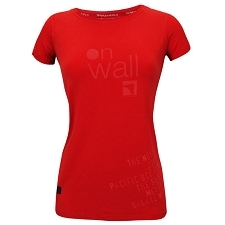 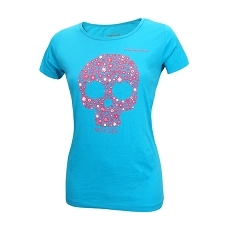 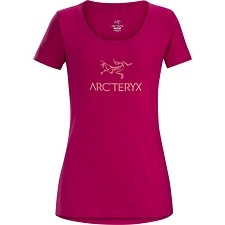 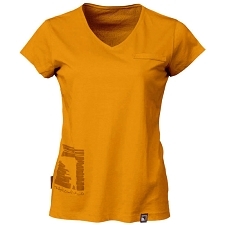 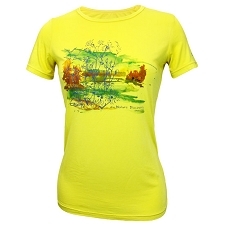 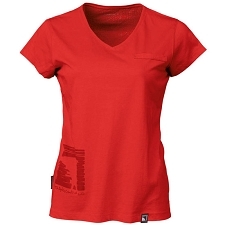 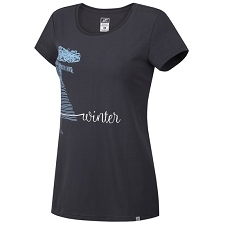 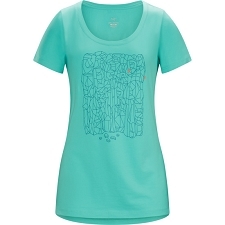 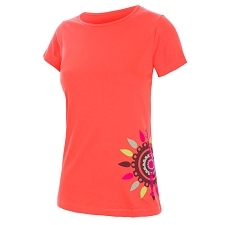 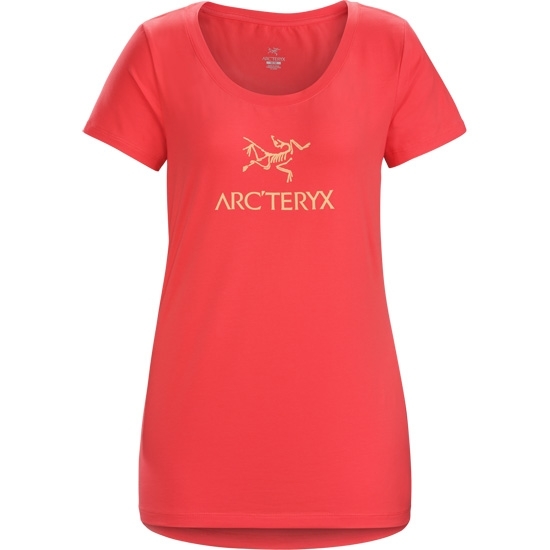 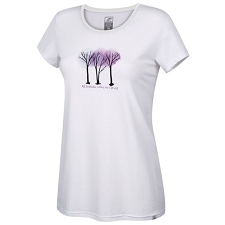 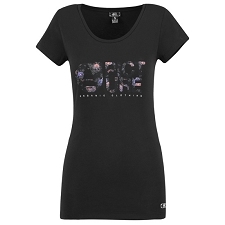 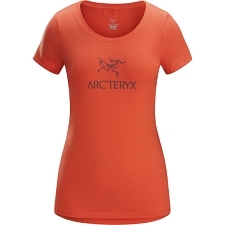 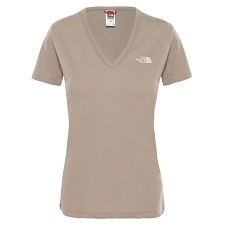 Women&apos;s cotton T−shirt best suited for non−aerobic activities or daily use. 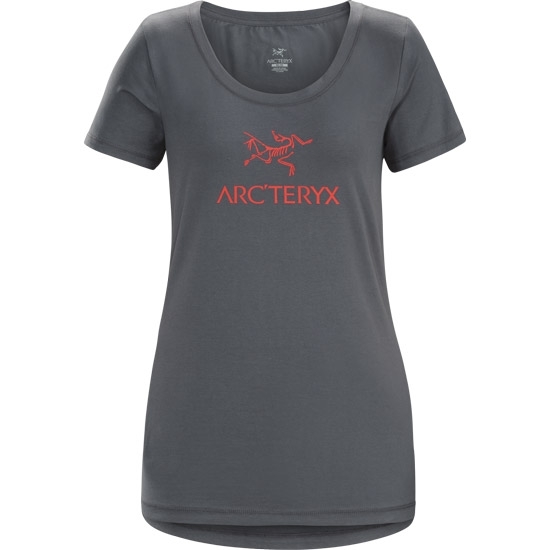 This crew neck tee features the classic combination Arc&apos;teryx logo rendered in a unique ink that has a velvet finish. 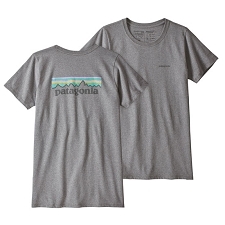 Trim fitted garment that shares motion−friendly traits with the brand&apos;s Athletic fit, but is patterned with lower volume for reduced bulk. 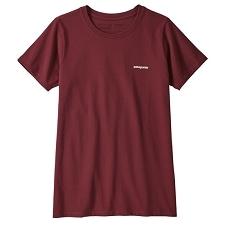 Customer Opinions "Arc'Word SS T-Shirt W"